The ancient coastal waters of the Pacific, roughly 11 to 5 million years ago, were home to a bizarre and fascinating species of giant salmon with large spike-like teeth. 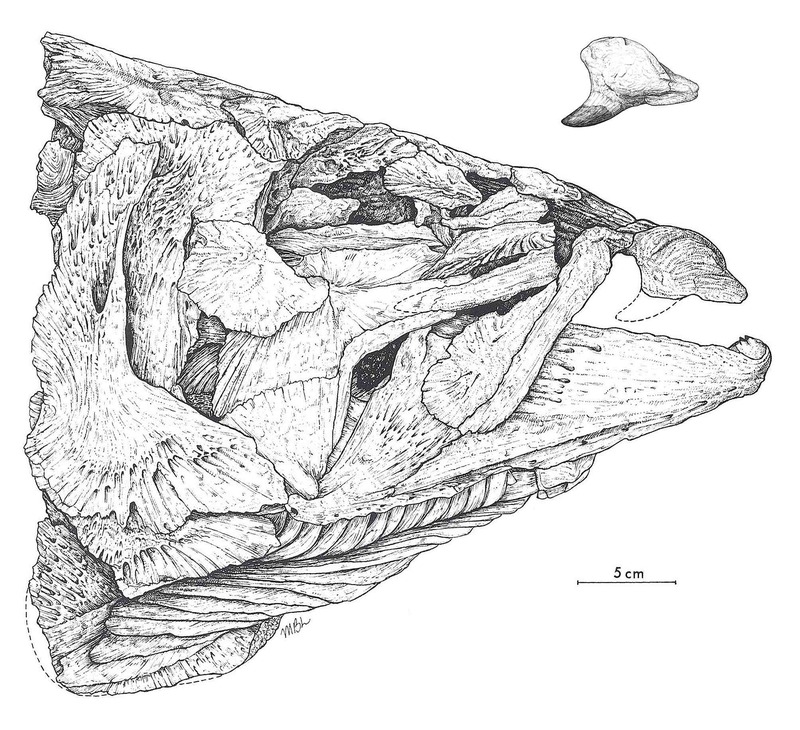 This spike-toothed salmon reached sizes of 1-3m (3′-9′) in length, much larger than the typical salmon found in the Pacific today. These hefty spike-toothed fish would have made for a difficult catch at nearly 177kg. (400 pounds). The spike-like teeth of the salmon could be over 3cm long (1-1.5″), much longer than modern Pacific salmon teeth, even after compensating for their larger size. The 4.5 foot long, 85 lb. 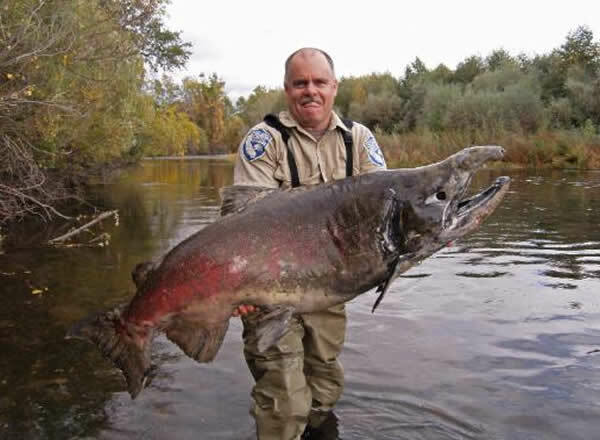 carcass of a giant Chinook Salmon turned up in Battle Creek near Red Bluff, California in 2008. 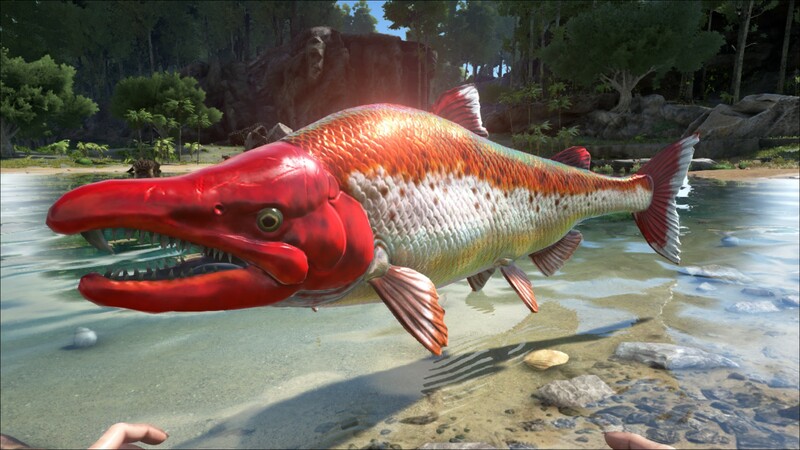 Perhaps ghosts of Sabertooth Salmon past still haunt our waters!